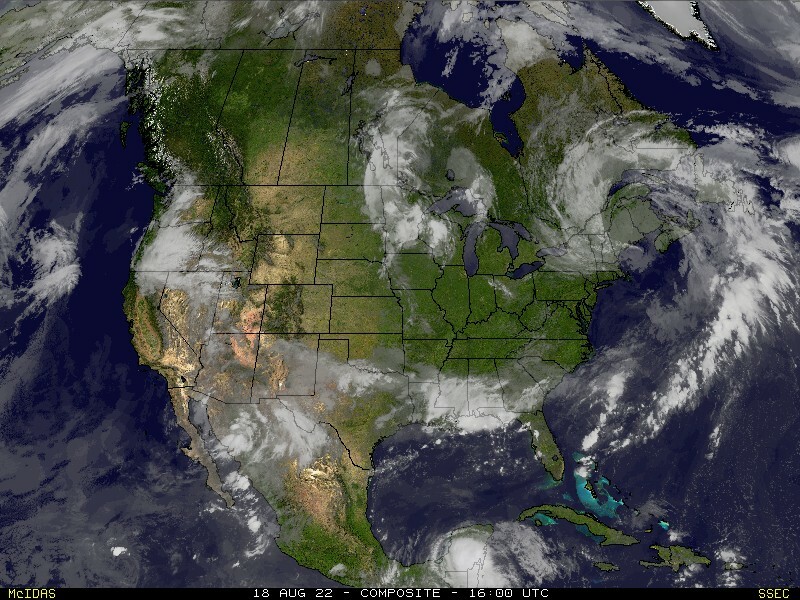 Its getting to be that time of year. The time leaves are falling off the trees, heavier coats are coming out of the back of the closets and time to unpack the shovels. Ok, it might not be time for shovels just yet but that time is getting closer, albeit a few months off. So when is the normal first frost and freeze? 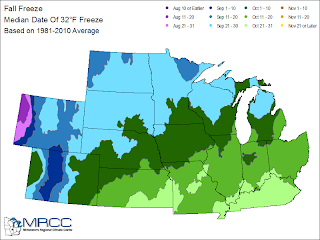 The Midwest Regional Climate Center has put together some nice maps to try and help show when dates of the average first 32° F and 28° F temperatures. 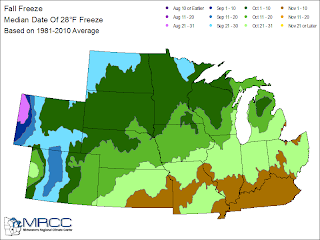 According to the National Weather Service office in Paducah the mean date of the first freezing temperatures over the last 30 years for Paducah, KY is October 25 and October 26 for Evansville, IN.